The history of the second most consumed beverage in the world — Tea! Did you know the origins of this delicious commodity? We all love the soothing and revitalizing properties a cup of ORGANO™ Tea brings to us. Particularly in this cold season when all our bodies need is a good source of antioxidants to support our health during the harsh weather. But, did you know the origins of this delicious commodity? Tea, whose scientific name is Camellia sinensis, is native to Eastern Asia. It was first domesticated for medical uses in China, and it’s believed that people here started drinking it around the year 1000 BC. During the next centuries, the Chinese developed different methods to oxidize and dry the leaves, which resulted in the various tea types we know today. The custom of drinking tea expanded to neighboring countries such as Japan, Korea, India, and Vietnam, but it was until the late 16th century that it first traveled to Europe. Thanks to Portuguese and Italian traders, this beverage became popular first between royal and nobles but is soon became accessible for all the European population. In England, it became one of the most popular products from the Orient, which caused a quick expansion throughout the British Empire, reaching every corner of the world from North America to Australia, to the South of Africa. Today, tea remains the second most consumed beverage in the world after water. Thanks to its high antioxidant levels, it keeps being used as a health enhancer, and it’s various types offer unique flavors that satisfy everyone’s needs. High in nutrients and with no calories, tea has also become a perfect beverage for those who are watching over their weight. ORGANO™ Organic Green Tea helps to promote a healthy blood pressure, soothing your mind and body, while our Red Tea energizes you with the power of adaptogens. These ORGANO™ favorites, enhanced with the power of Ganoderma, are your perfect companions to endure the winter cold, as their flavor allows you to mix them with other revitalizing ingredients. 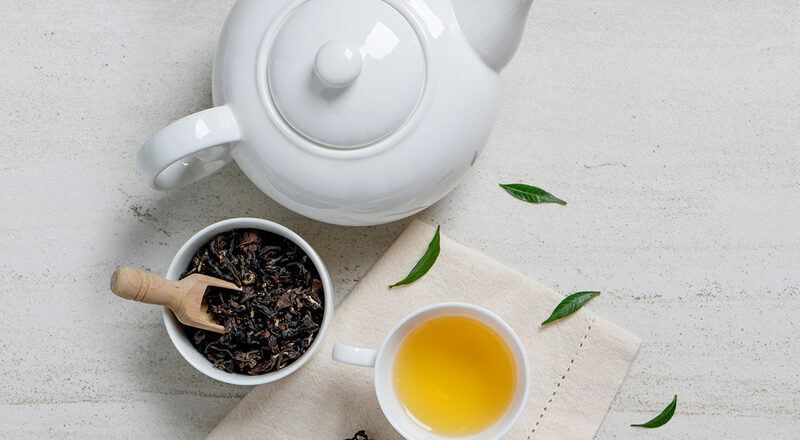 Visit our new Tea Room to see how you can create great recipes by using these unique tea blends and to learn many other interesting facts about ORGANO’s teas. Don’t miss out on this delightful experience!